Government will Construct 100 New Houses in the Mahaut constituency. Parliamentary representative for the Mahaut constituency Rayburn Blackmore spoke on Thursday at the handing of checks to senior citizens ages 60 to 70. Over 300 families in Mahaut constituency, including 32 families in Campbell and 49 families in massacre and several others in Tareau, canefield and Bena Ravinare are expected to benefit from the social protection program and benefit from government’s build back better initiative. 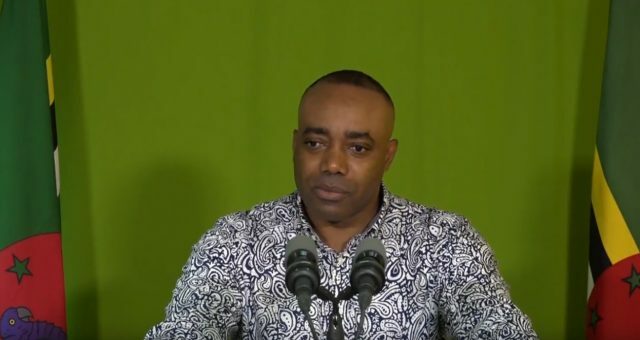 Mr. Blackmore said Prime Minister Skerrit had initially approved 8.2 million dollars for the Mahaut constituency following a comprehensive assessment of that area. Blackmore says following an evaluation of the conditions of the senior citizens it was felt that something had to be done to assist them in meeting some of their needs. Meantime Blackmore says the people of layout park benawavin and Tarreau also stand to benefit from Government’s new housing program. Parliamentary representative for the Mahaut constituency Rayburn Blackmore speaking at a check presentation ceremony for senior citizens ages 60 to 70. Dear mr Blackmore… The people of Warner do exist… We are fed up of ur victimization..